Americas Best Value Inn Rockdale offers the most value for your money when staying for business- pleasure or just passing through. We offer clean spacious rooms- in-room Wi-Fi- free coffee in lobby and free full breakfast. All guest rooms include microwave- mini-fridge- hairdryer- 32 inch flat panel cable TV- ESPN- HBO- iron- ironing board- desk with lamp- alarm clock radio- free local calls and wake-up service. Take advantage of our extremely comfortable beds and relax while saving money year-round with our Kids Stay Free Policy *11 and under in parent*s room*. For those guests that are in town on longer term corporate assignments or business trips we also offer special weekly and monthly rates; as well as direct billing options. For your convenience our hotel offers both smoking and non-smoking rooms. Pets are welcome for a nightly charge. We are only 4 miles from Rockdale International and Great Northern Railroad Depot and Museum and near several local attractions such as Kay Theatre Foundation and Rockdale Civic Center. We are conveniently located at the intersection of Highway 77 and Highway 79. 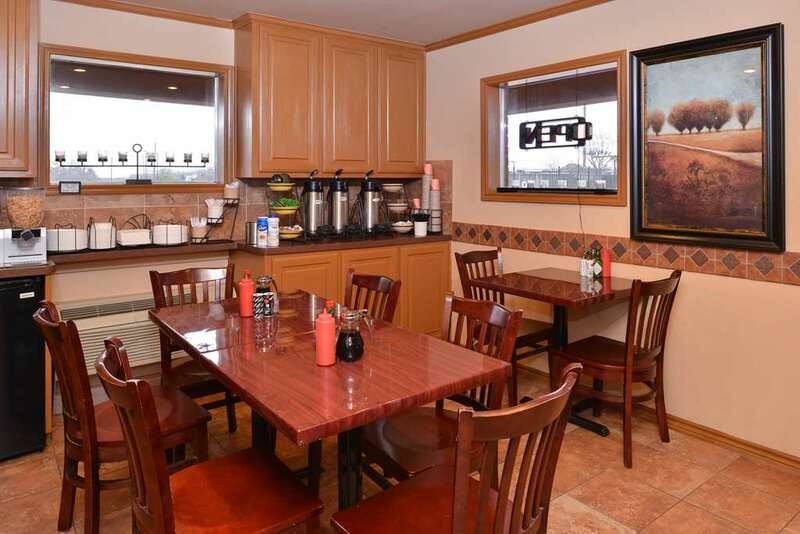 Americas Best Value Inn Rockdale offers ideal accommodations and location whether you are in town for golfing- swimming or to visit Apache Pass Event Center- Milam County Historical Museum- Temple College-Temple- Southwestern University and Texas AandM University - College Station. At Americas Best Value Inn Rockdale our goal is to provide our guests a great experience; not just a place to stay. At Americas Best Value Inn Rockdale; We*ve Got You Covered from the time you hit the road until your head hits the pillow. La Festa Italian Restaurant and Pizza: 1.6 mi. Piano Bar and Steak House: 3.6 mi. El Torito Mexican Grill: 3.4 mi. Big Boy*s BBQ: 2.9 mi. Americas Best Value Inn Rockdale is conveniently located at the intersection of Highway 77 and Highway 79. Our address is 381 North US Highway 77- Rockdale- TX 76567.